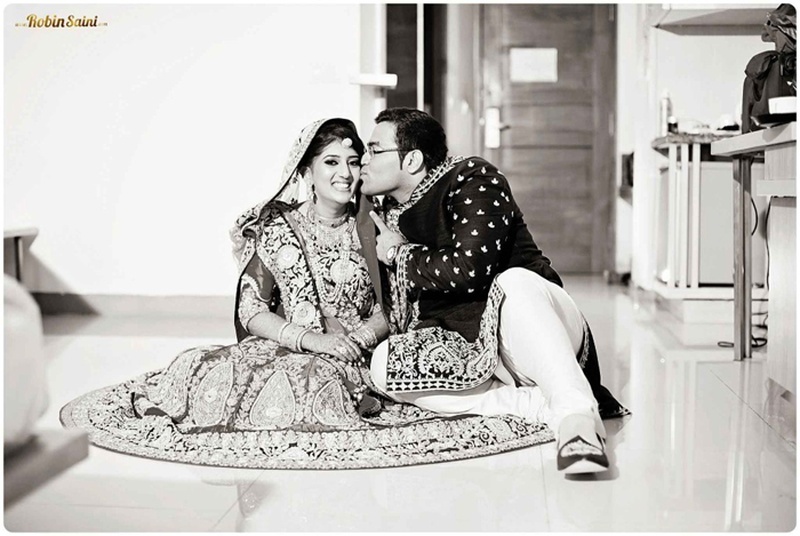 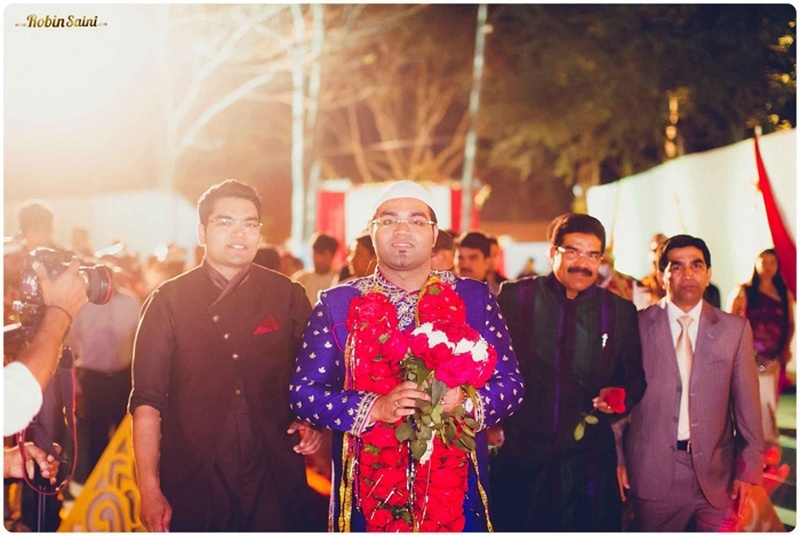 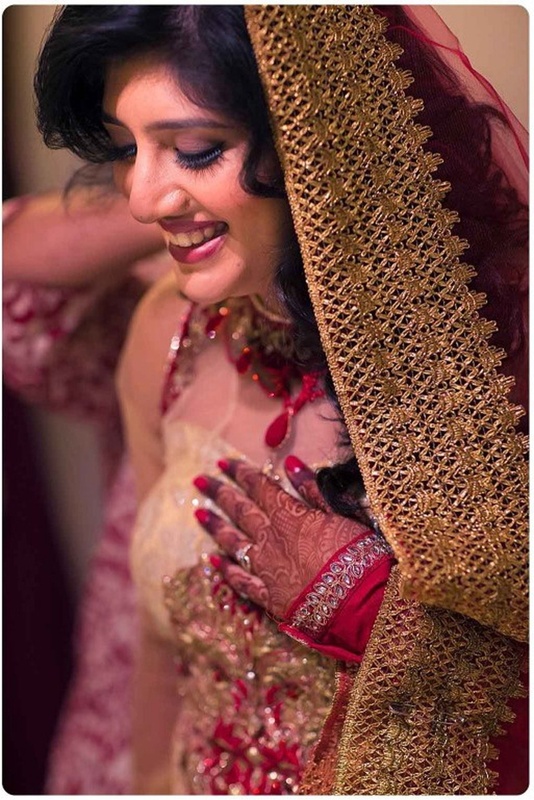 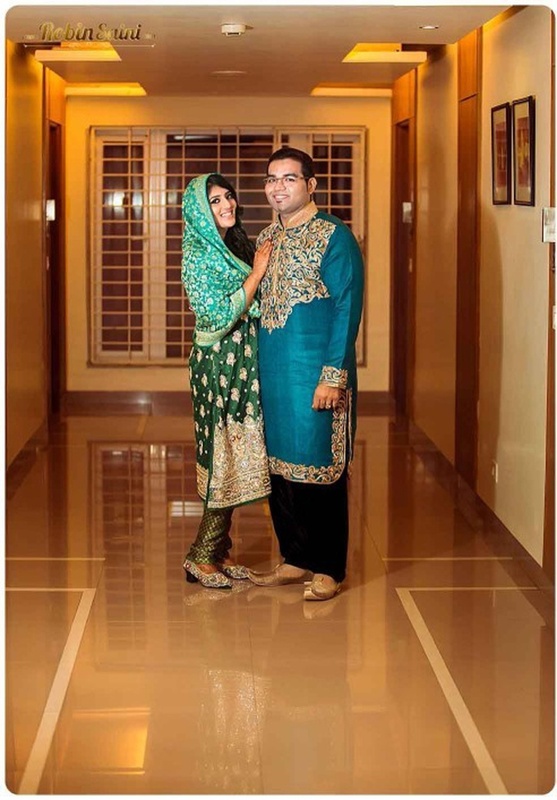 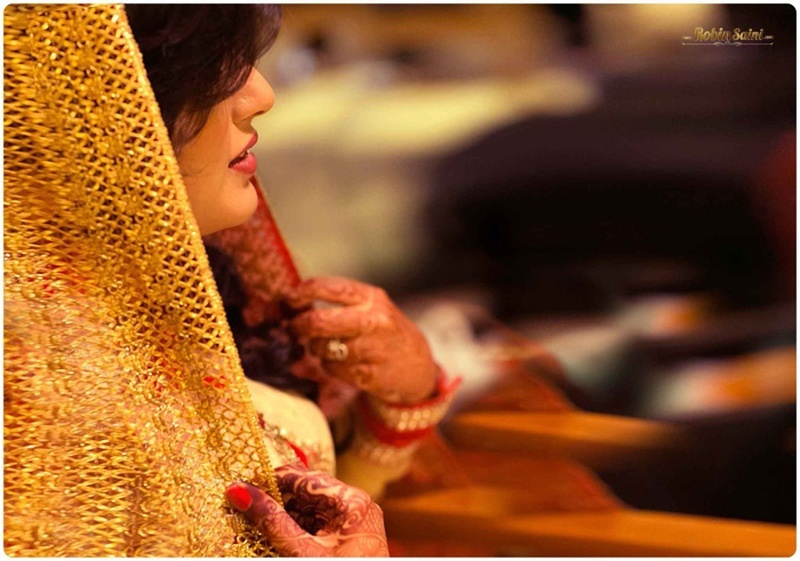 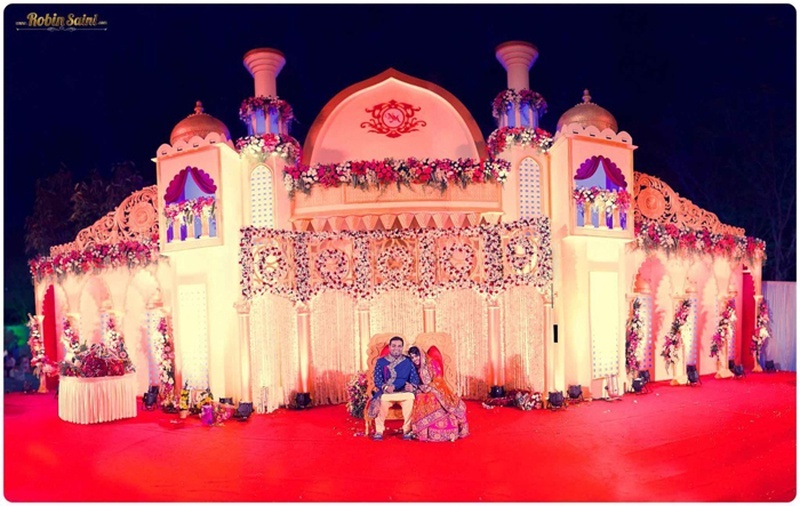 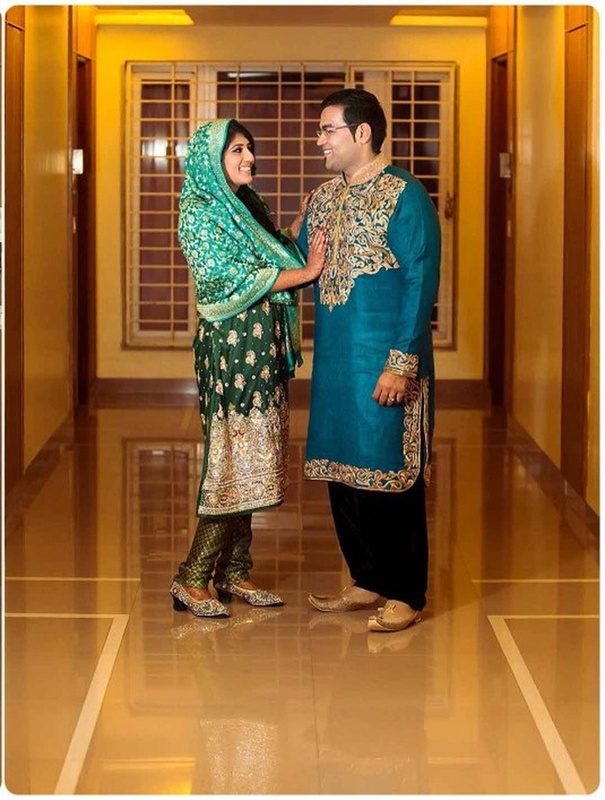 In a world where everyone is obsessing over destination weddings and fancy locations, Nilofer and Miraj knew they wanted to stick to their roots for this one and hosted their grand Nikah and Walima in Belgaum, Nilofer’s hometown – and it turned out just as special as this gorgeous bride wanted it to be. 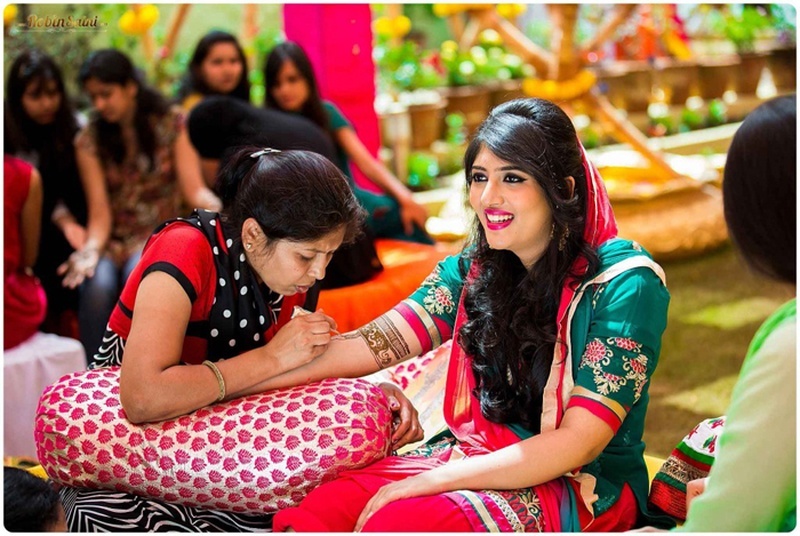 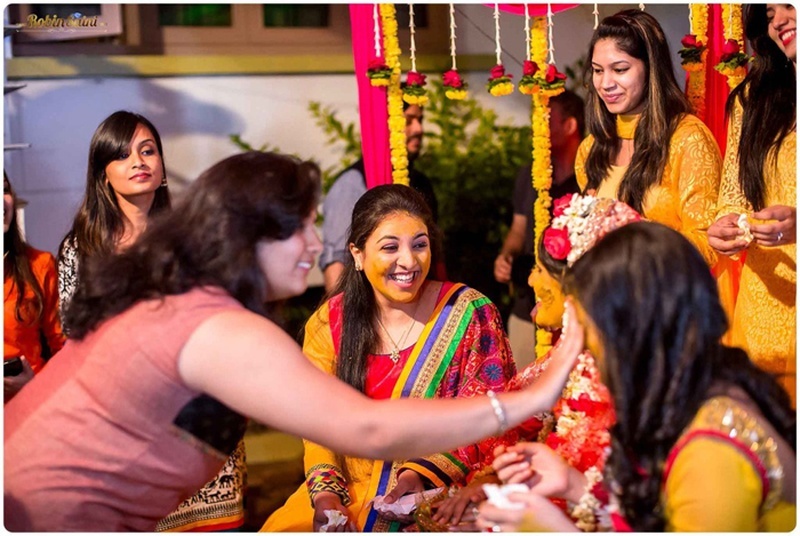 Right from the vibrant mehndi ceremony to the love-filled haldi where Nilofer’s girlfriends had her drenched in haldi head-to-toe, each function was uber fun with its own touch of special. 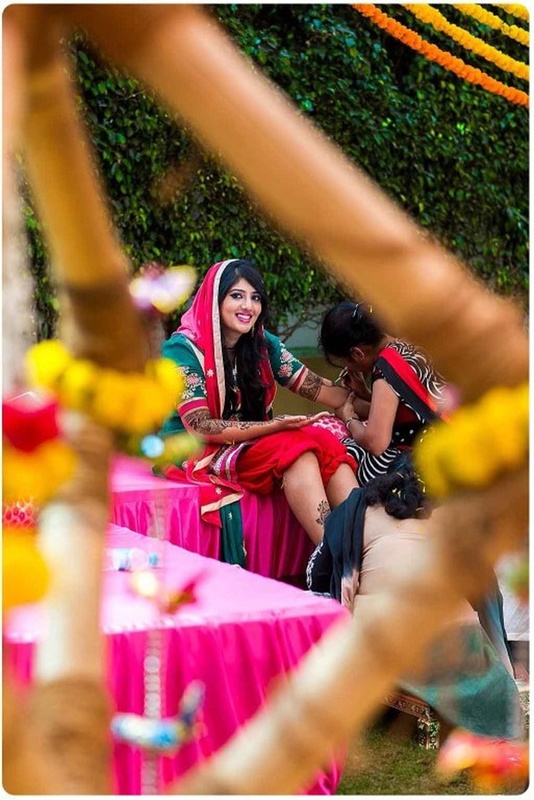 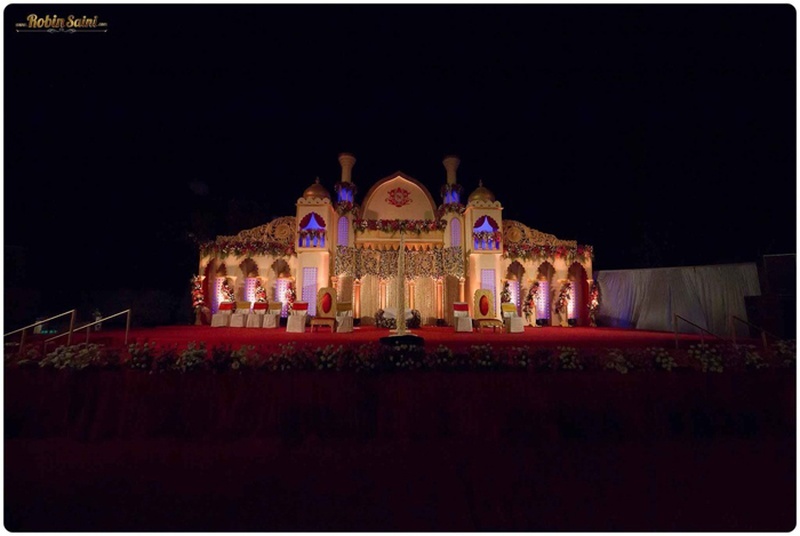 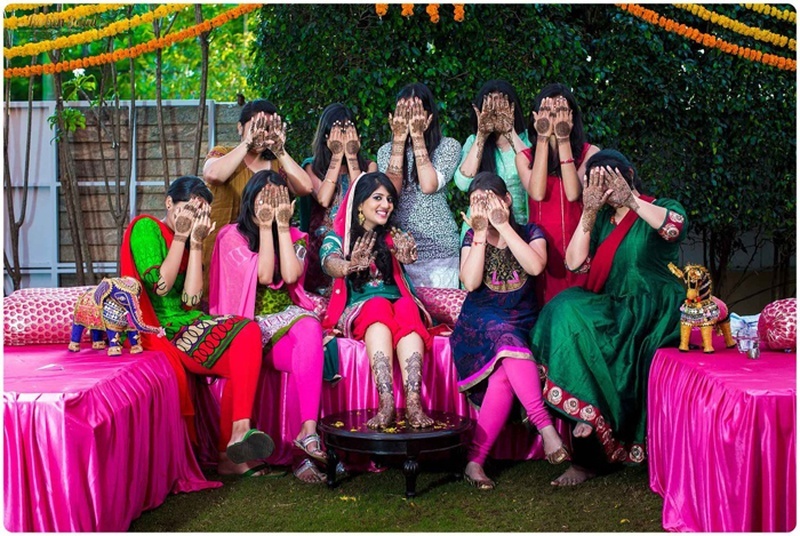 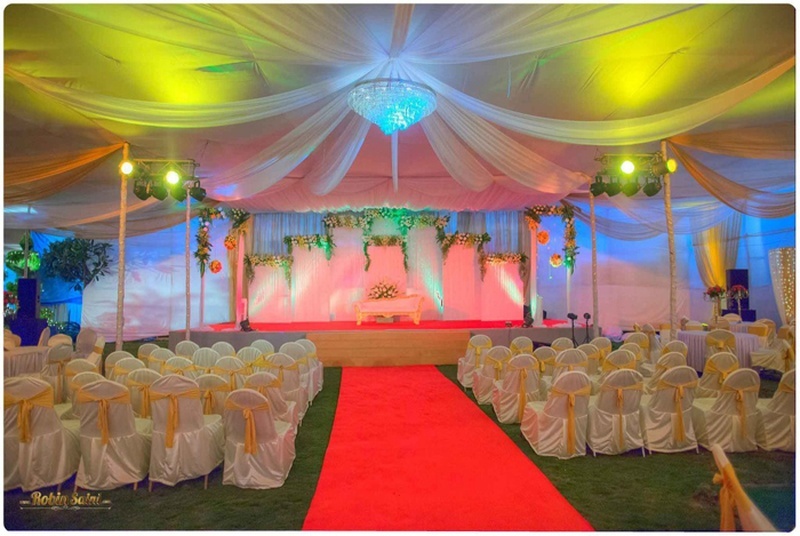 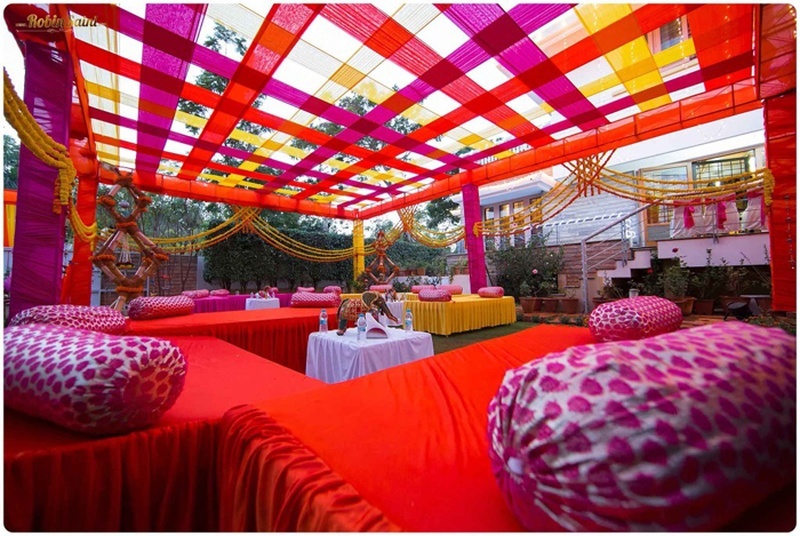 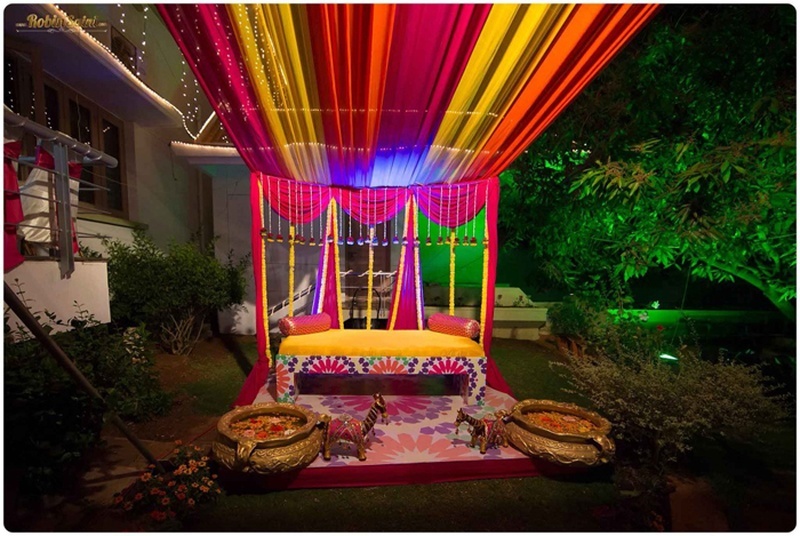 The outdoor mehndi was set up with bright drapes in hues of pink, red and orange strung along with marigold flowers – it looked like a full Bollywood set up, complete with gaddas and bolsters too. 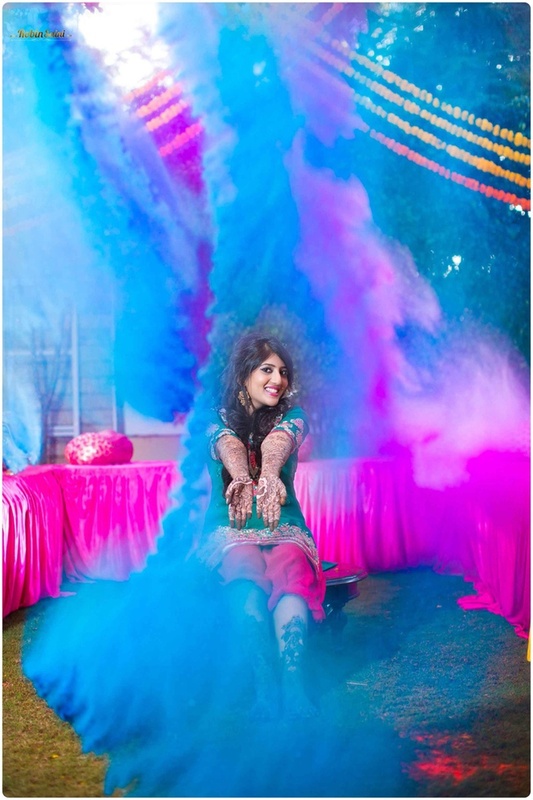 But our favorite bit was definitely the color bomb shoot done by the exceptional Robin Saini – don’t miss these amazing photos as you scroll through the album. 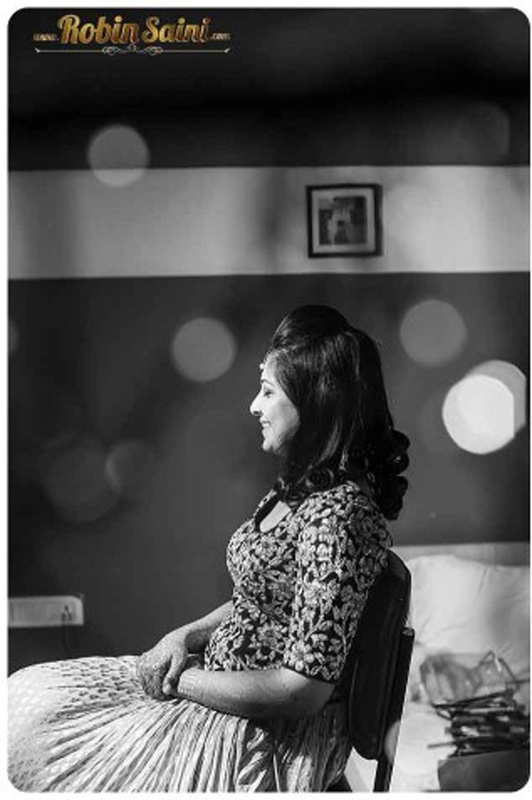 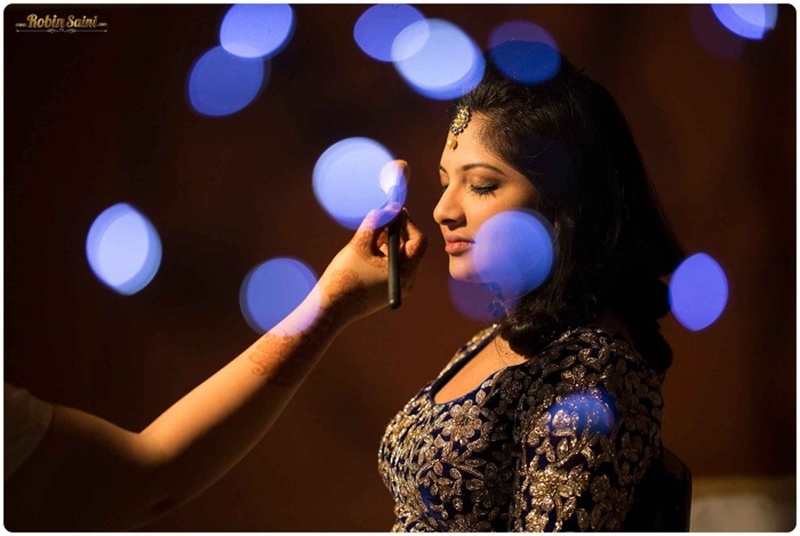 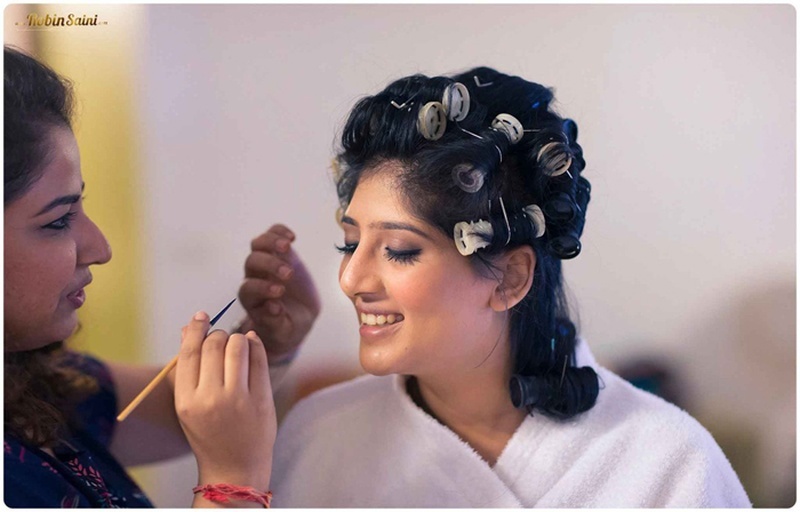 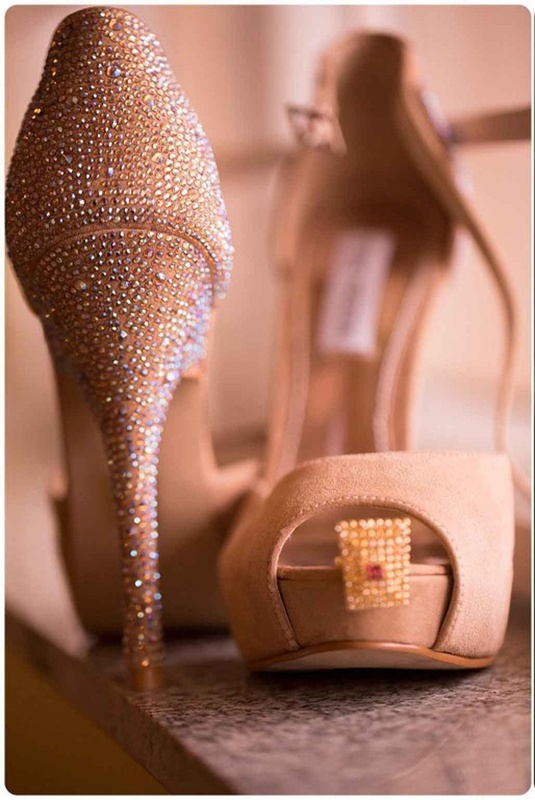 And his skill and experimentation didn’t just end there – the gorgeous bokeh effect on the brides photographs while she got ready on her big day and the brilliant post wedding shots he took of Miraj and Nilofer – all spoke of his flawless talent. 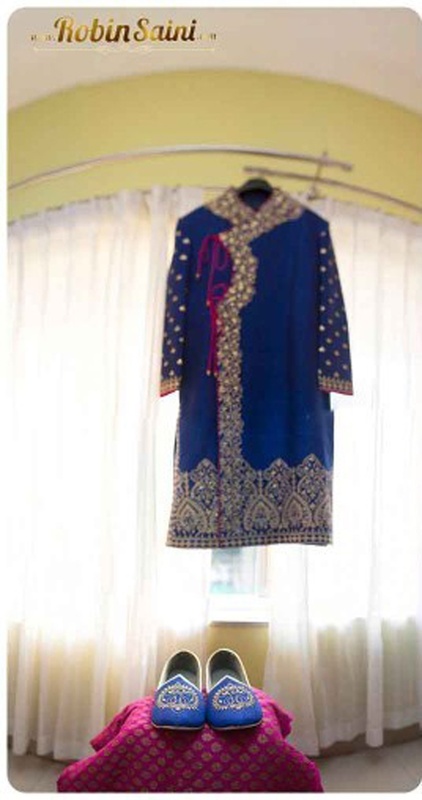 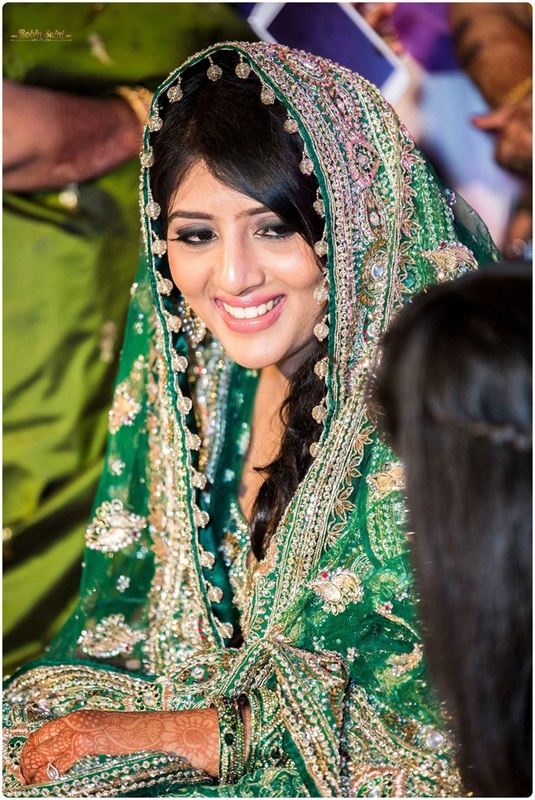 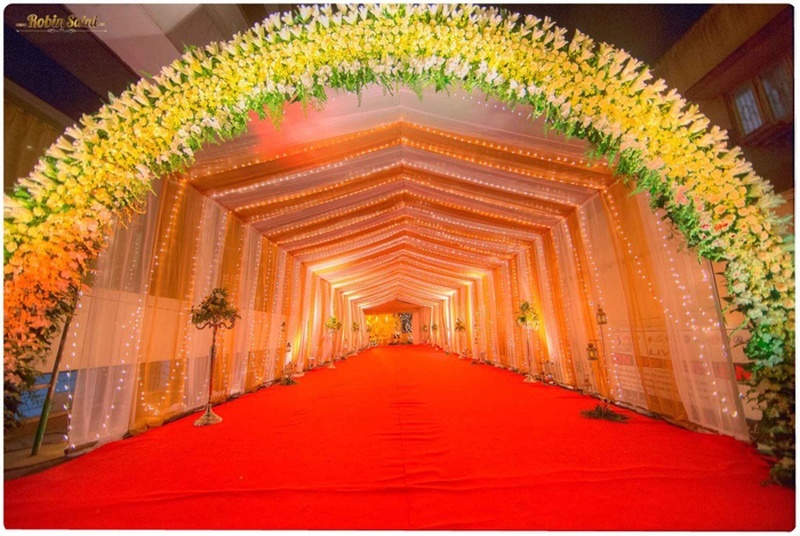 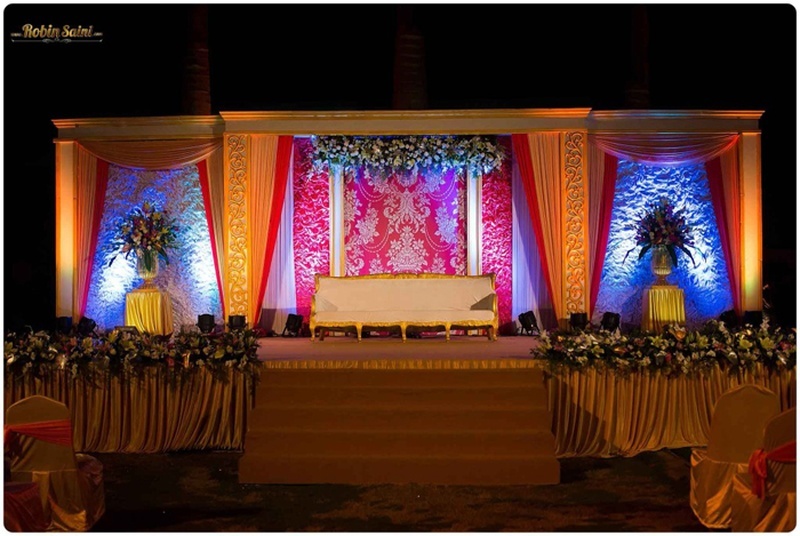 The wedding too, was a grand affair with a large stage set up for the nikah as well as the walima. 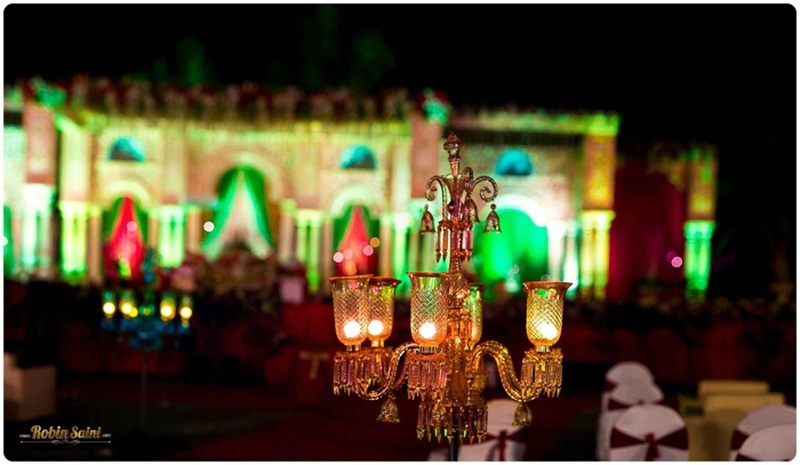 The outdoor reception décor was beautiful with vintage glass lamps and gorgeous fresh flowers everywhere. 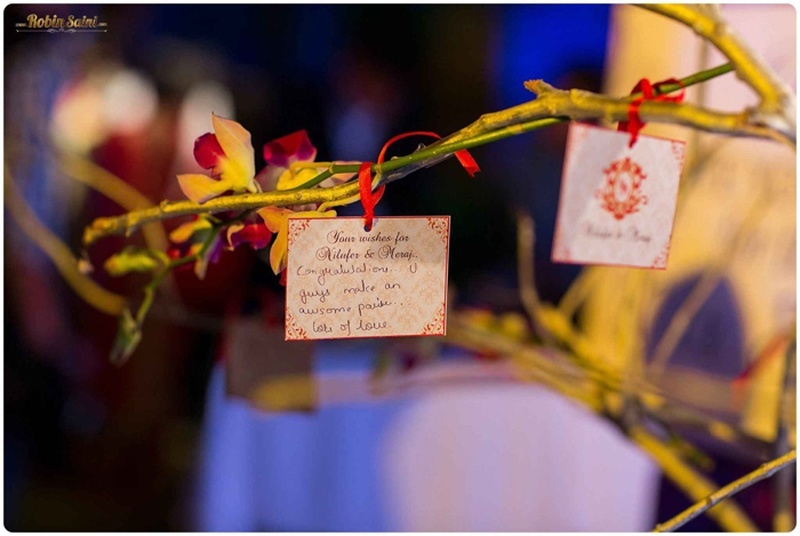 And even with all the grandiosity all around, Miraj and Nilofer added a personal touch to their wedding with the wishing tree set up. 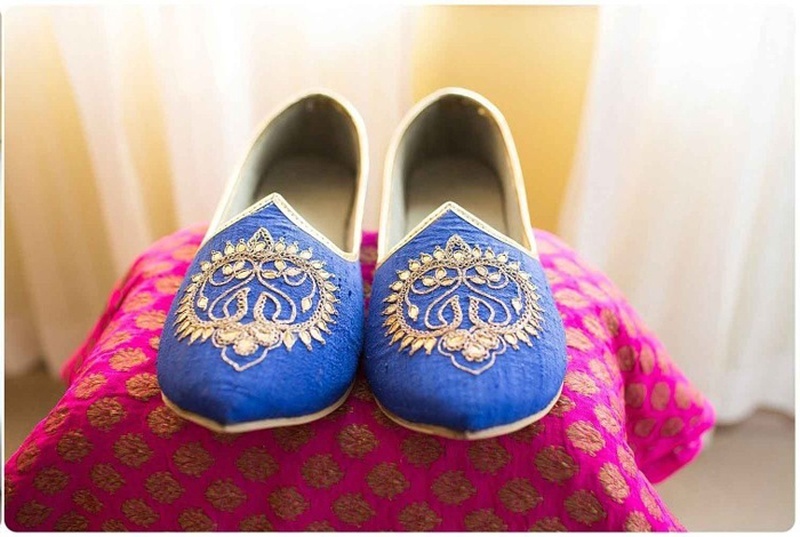 Here all their family, friends and loved ones wrote notes for the newlyweds as they embarked on their new journey together – Future brides to be, take note – A DIY project filled with sweetness, perfect for a love-filled reception ceremony. 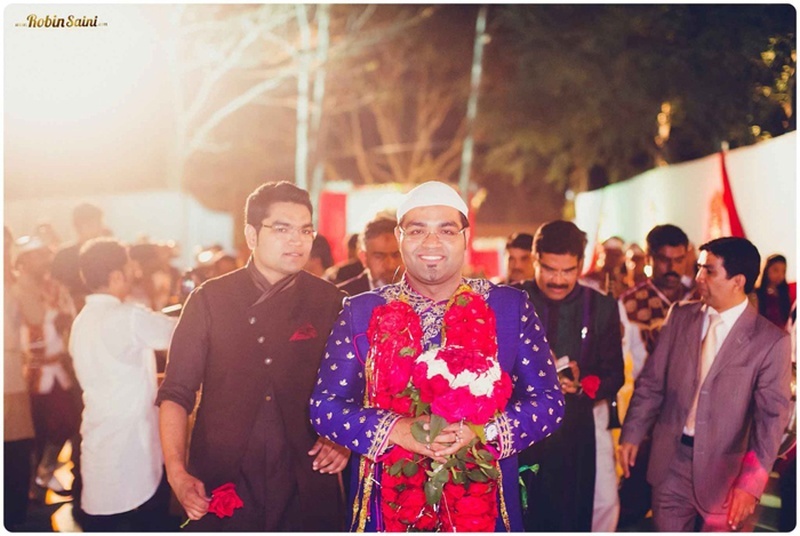 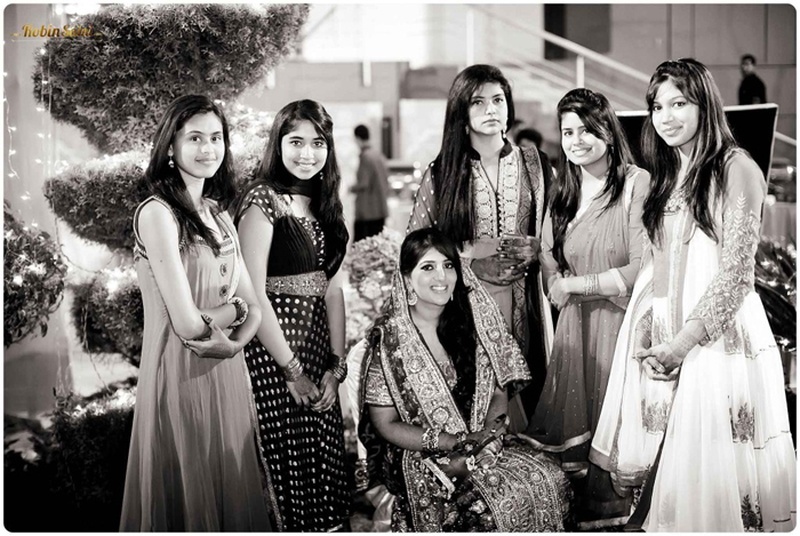 What to look out for as you scroll through this album – the groom’s killer ink blue jootis, the excellent yellow and white entrance décor and of course, the all-girls mehndi picture! 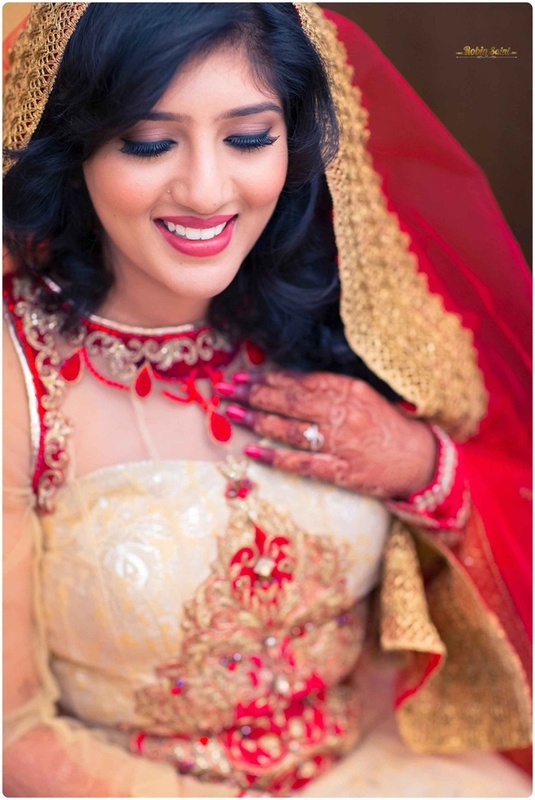 A happy bride is a pretty bride! 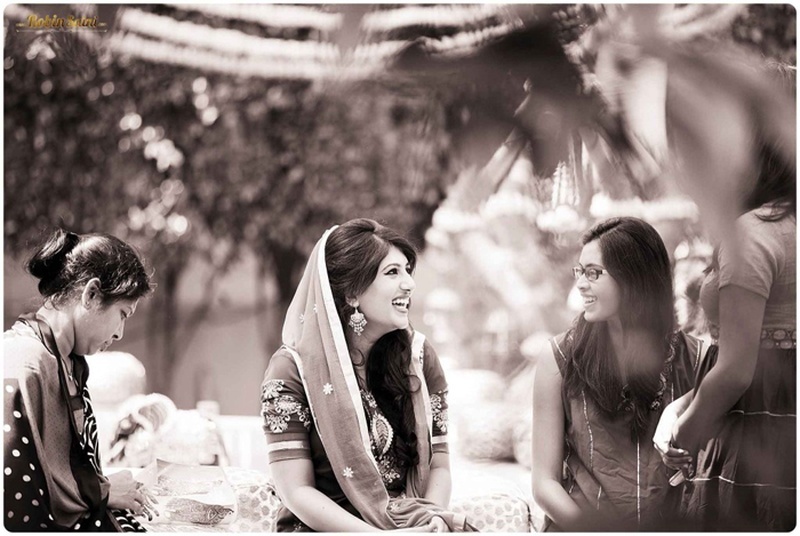 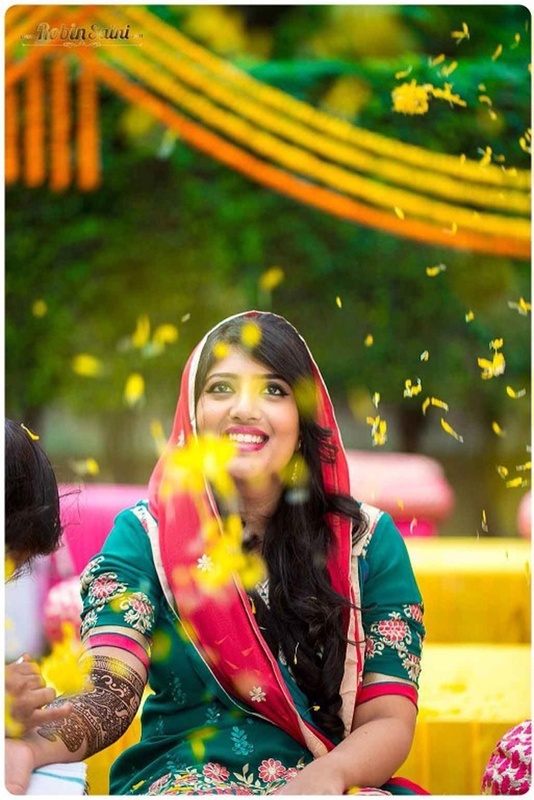 Robin Saini captured the moment perfectly - flowers in the air and the brides bright smile!